The Florida Gators offense was so bad that a two-year-old joke about playing a dog at quarterback started to become an actual question? Did she have eligibility? Would it be a NCAA violation to play a furry, four-legged animal at quarterback and would the offense be worse for it? 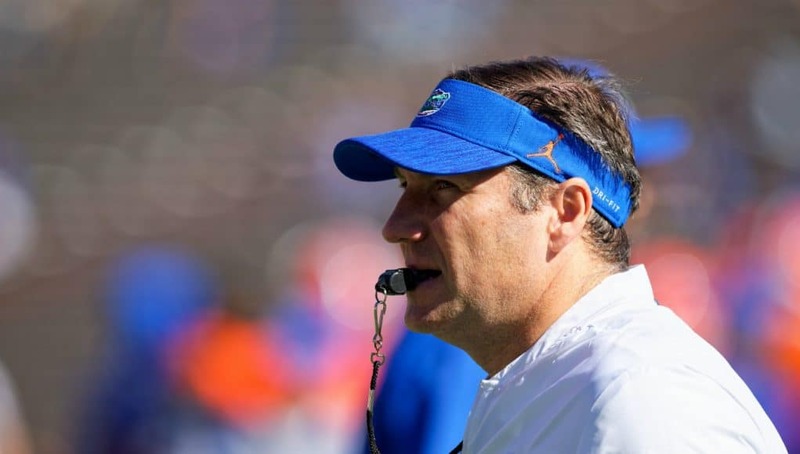 Dan Mullen wouldn’t be in Gainesville if the Gators’ offense were firing on all cylinders. He inherited a unit that hadn’t finished in the top 100 in scoring since 2014 or higher than 83rd since 2010. 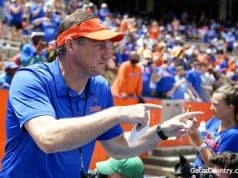 Mullen came to Florida and he promised fans that there would be offense. 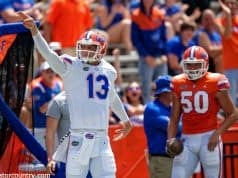 “Nobody likes scoring more than I do,” Mullen said at each and every stop during his spring speaking tour and the Gators have done that. Through 11 games Florida is averaging 33.9 points per game. 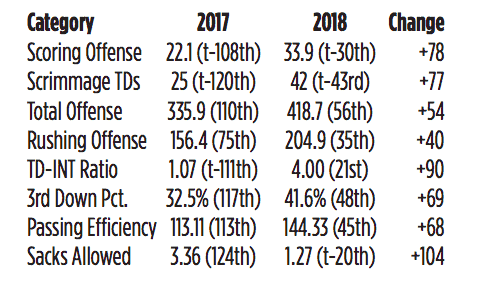 That’s the most the Gators’ offense has averaged per game since 2009, one year after Mullen left Gainesville to coach at Mississippi State. Hammond has been a beneficiary of the new offense. The junior is second on the team with 24 receptions and yards (296). His three touchdowns are tied for third and he has two rushing touchdowns this season as well. He’s also keeping a close eye on his career numbers, as he approaches his older brother Frankie’s career marks. Josh needs just eight more catches and 91 yards to pass his big brother’s numbers, something Josh has already reminded his brother of. This year Florida has been significantly better and the stats back that up.